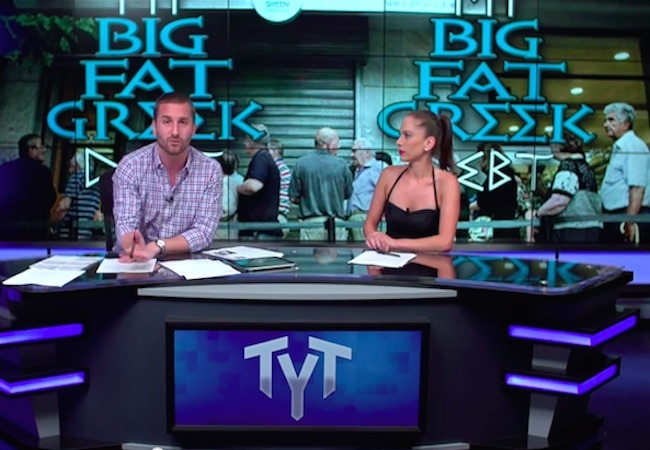 In the video below hosts Ana Kasparian and John Iadarola break down the situation. They touch on the uncertainty of Greece’s fate with the looming referendum on Sunday, “If Greeks vote yes, then they will go back to the previously existing deal…if they vote no, they reject the current deal,” Iadarola explains, “… and then we don’t know, exactly.” On the fate of Greece, “Honestly, to continue on with reforms that have been posed is unrealistic,” Kasparian adds. Iadarola points out that that Greeks will probably choose to vote in a new government should things get worse.